The thought of Whiskey Chicken gets my mouth watering. I don’t know if you have ever had the Whiskey Chicken that the chain restaurant Claim Jumper serves, but it is divine. 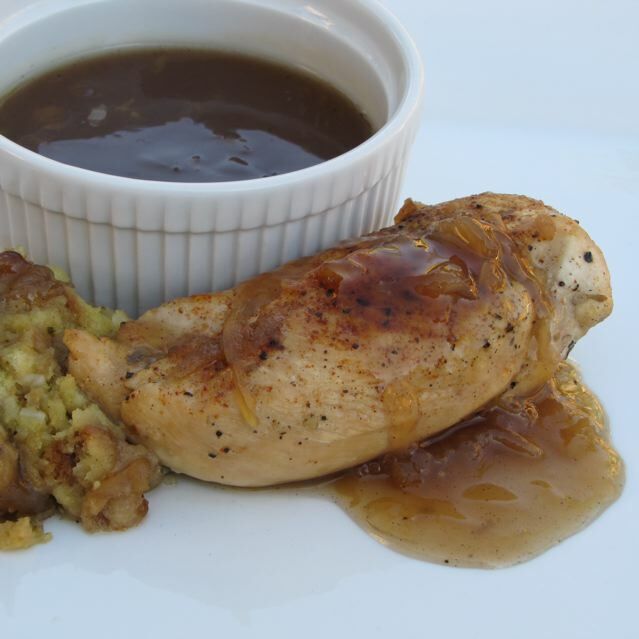 It is Whiskey Apple Sauce glazed chicken served with Stuffing and more whiskey apple sauce. It is worth trying. Of course the downside is, that you may not live near a Claim Jumper and will never get to experience their version. This recipe comes close though. I noticed that Claim Jumper also has a Whiskey Glazed Pork recipe.. so feel free to experiment with that on your own. I hope you like this dish as well. In a large sauce pan combine the grated apple, chicken broth, apple juice, brandy, whiskey, sugar, tarragon, allspice, nutmeg, and pepper. Bring to a boil. Reduce heat and simmer for 20-30 minutes until the liquid has reduced by half. After cooking it down, dissolve cornstarch in a few Tablespoons of cold water and add to the apple sauce mixture. Stir over medium heat until thickened. Season 6 chicken breasts with salt and pepper and pan fry them in a little olive oil for about 3 minutes each side. It won’t be cooked through, but it will be browned. For the stuffing: use a boxed Stuffing mix for easy prep work. (Even stove top will do.) Follow the directions on the box to prepare the stuffing. 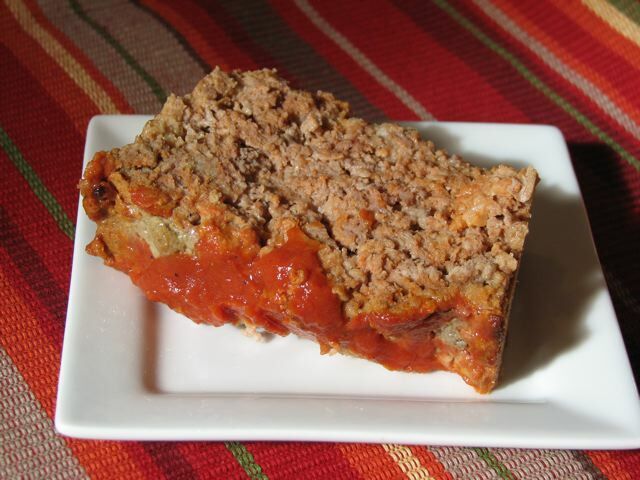 Layer the stuffing in the bottom of a 9×13 baking dish. Place the chicken breasts on top and ladle a little sauce over the chicken (don’t pour all the sauce over the chicken, reserve some for serving). Cover the dish with foil and bake at 350 for 30-40 minutes or until the chicken runs clear. Serve the chicken along side the stuffing and ladle reserved apple sauce over the chicken breasts. It is also quite good on the stuffing. Now you can experience it at home. Categories: Copycat recipe, Main Dish, Main Dish - Chicken | Tags: Whiskey Apple Glaze | Permalink. I love the onion soup they serve at Benihana and after a search online to find a good copy cat of the recipe, I promptly made some for tonight’s dinner. 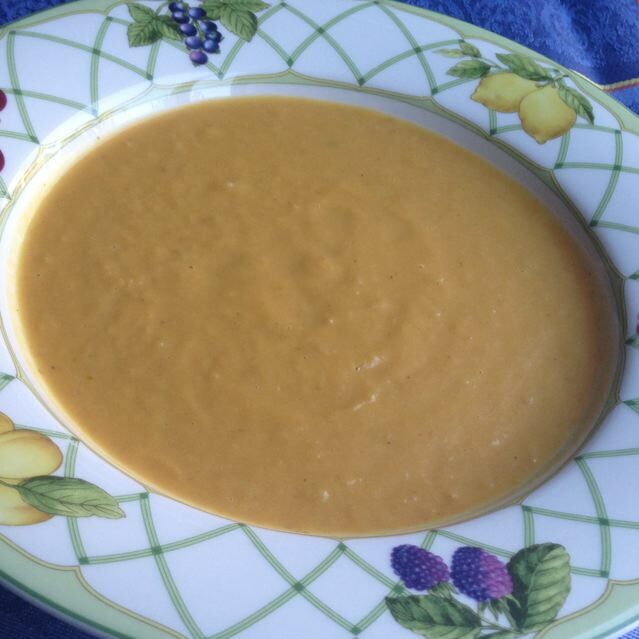 It turned out great and was really easy to prepare too! My kids complained that there was not enough for seconds. It tells me something when my kids want more. I have a feeling I will be making this again in the near future. Meemo’s Kitchen was the website where I found the recipe. I did not make too many changes to it. To make the soup: Pour the chicken broth and water in a large saucepan. Add onion, celery, carrots, and salt. Bring to a boil and then turn heat down to medium and allow to simmer for 15-30 minutes. Remove the onions, celery, and carrots from the broth. While the soup is cooking: prepare the french fried onion rings. Dip the onion rings first in milk and then toss in flour to coat. Bring a cup of oil to temperature over high heat and fry the onions until golden brown (in batches so you don’t crowd the pan). Remove the fried onion rings with a slotted spoon and allow them to drain on paper towels. To serve: Place slices of fried onion rings in bottom of bowl along with a few green onion slices and sliced mushrooms. Pour broth over them with a ladle. Enjoy! 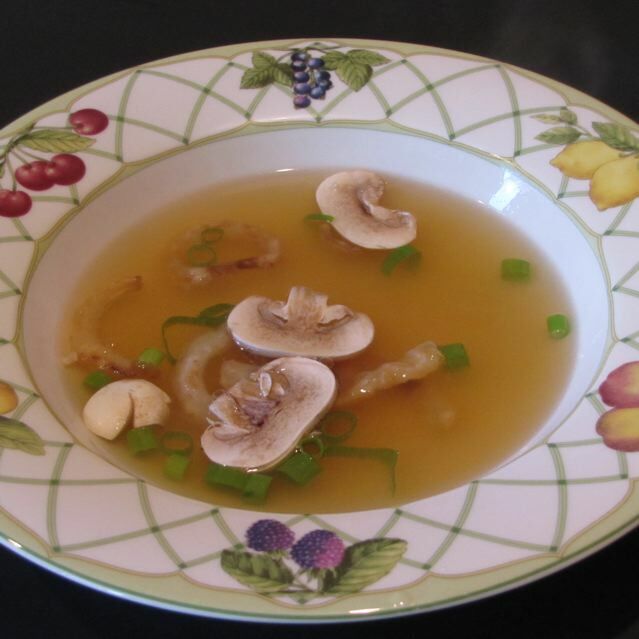 Categories: Copycat recipe, Ethnic - Asian, Main Dish - Soups | Tags: Benihana Onion Soup, Copycat Onion Soup | Permalink. I love Olive Garden’s Chicken Gnocchi Soup. Every time I go to Olive Garden I end up ordering it now. Their Gnocchi are so tender and the soup is so creamy and flavorful. I went on a quest to find a good copy cat version and I did at Pioneer Woman’s Tasty Kitchen Forum. Cook the onion, garlic, and carrot in oil over medium heat until onion is tender and translucent. Add the chopped chicken, chicken stock, heavy cream, salt and pepper, and thyme. Heat to boiling, then add gnocchi (homemade would be even better, but all I had was packaged on hand). Gently boil for 4 minutes, then reduce heat to simmer and continue cooking for 10 minutes. Add spinach and cook for an additional 1-2 minutes until spinach is wilted. I did use defrosted frozen chopped spinach and only added about 1/2 cup to the soup as I did not have fresh spinach on hand. I made this version and was very happy with the results. I did add a little bouillon at the end and used defrosted, chopped spinach instead of fresh and it turned out fine. Will make again and again. My children are not fans of gnocchi, but they don’t get much say in my house. They can eat it or not eat. Categories: Copycat recipe, Main Dish - Soups | Tags: Chicken Gnocchi Soup, Recipe, Soup | Permalink.